Having your child get braces is very expensive, so it is very frustrating if you have to lecture them on caring for them properly. This is a guide about getting your child to take care of their braces. 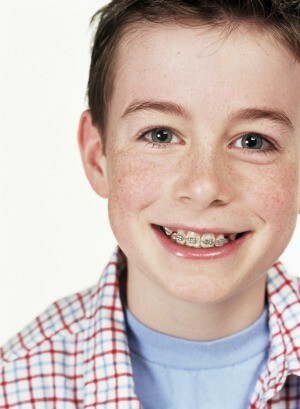 I spent $4000 on my son's braces and he doesn't follow the dentist's rules of brushing and putting bands on. He's had them on longer than he should. Have any ideas? Who is the boss in your house? If the braces are supposed to be off now, take the kid to the dentist and have it done. Start acting like a parent, instead of best friend. I also had this problem. The orthodontic tech gave him a serious talking to and told him the braces wouldn't be coming off until he followed the program. I also made it a point to check his mouth after he brushed, and reminded him each morning to take his bands to school. I bought him a new electric toothbrush (you can get battery powered ones that aren't too expensive), his own toothpaste and mouth rinse. I think he liked having his own stuff (he has 3 other brothers and sisters still living at home). You may also need to just tell him "This is how it's going to be.". Good Luck! Tough to hear, but you could always tell him you are done and he can get them off when he gets a job and pays to have it done on his own and follow through. The orthodontist made a deal with his younger patients that if they broke a wire or did not maintain them properly, they had to mow the office lawn or sweep the walkways and wash them or some other job suitable for their age. It worked good with my son. Maybe you can arrange something like that with home related jobs. Good luck!